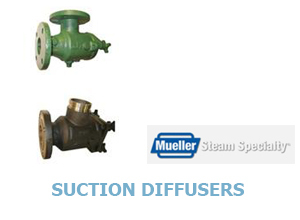 Mueller Steam Specialty Products | Mason-Dallas Inc.
Mason-Dallas is proud to offer Mueller Steam Specialty products. 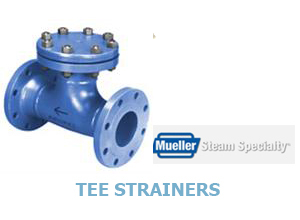 Mueller is the world’s largest supplier of strainers and the number one provider of specialty products serving the valve industry. Suction Diffusers. Provides economical and compact pump protection by straining foreign particles and providing proper flow conditions to the pump. 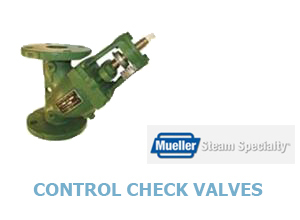 This series mounts directly to the suction side of a pump in either the horizontal or vertical position. 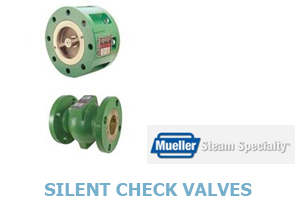 Silent Check Valves. Standard Wafer Silent Check Valves in various sizes. Vertical Radiator Steam Vents. 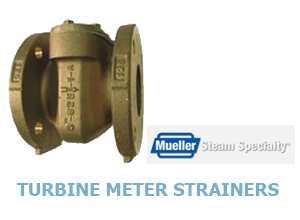 Single-port, straight-shank vent for small steam systems. Angle cut of telescopic siphon assures positive drainage. Auto Vent 670. Maid-O’-Mist’s new No. 670 forged brass Auto-Vent is an ideal automatic vent for hydronic heating applications. 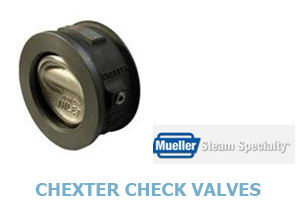 With the highest capacity rating available for a forged air vent in the 35-50 psi range, a No. 670 Auto-Vent will relieve air much faster than any comparable automatic vent. Auto Vent 675. The Auto-Vent 675 purges and eliminates air in water lines, installs vertical at highest points on line. A low cost, low profile vent valve made of forged brass with a Polypropylene float with a 1/8 NPT connection – Great for places where height restrictions are an issue! “Only 1 ½ inches in height.